When using the domed high compression pistons with a Model T "High" head, what is the approximate compression ratio? 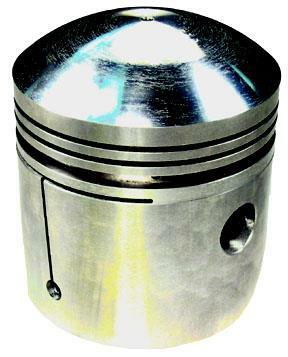 You get more compression with the high compression head then the pistons. The pistons have some where between 5-1 to 5.5-1 and the head is 5.5-1 to 6-1. 4 out of 7 found this answer useful. Valve, stainless steel, 1/64 oversize stem.